Hello my awesome followers! Today I am honored to have author - Sarahjane Funnell here to do a interview with her. I would love for everyone to get to know her and learn more about her new book, Blake. 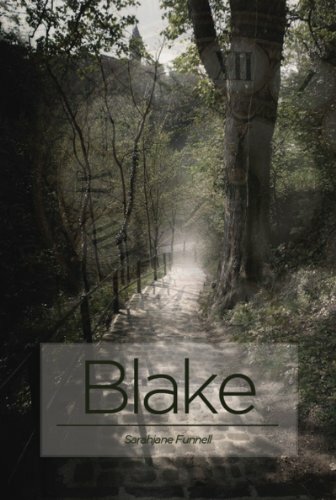 SarahJane has published her first YA fantasy story entitled Blake, launching as an ebook with Amazon and myebook.com on Monday 10th October 2011, published by Gibson Publishing So before we get started I am going to leave everyone with some info on Sarahjane's book and where you can purchase it. Thanks for stopping by and I hope everyone will enjoy my interview with the author. Blake is an aloof and mysterious guy. He possesses a sharp glint in his eye and harbours a hidden secret. Ebony, a schoolgirl, becomes completely mesmerised by him and his strange character. Longing to unveil just what it is that makes Blake so different, Ebony desperately searches for him to find the answer. When Ebony finally has an opportune moment to discover the secret that surrounds Blake, she learns that it is not only he who hides an unknown identity but that she too has an inner secret that stretches far beyond her own existence. An unknown secret that changes not only her thoughts and the ways of the world but also her physical human form. Blake is a captivating short story that will spark the imagination of Young Adult readers, taking them on an emotive journey of self-discovery within two contrasting worlds. Featuring rich language and powerful emotion, Blake is perfect for readers looking for an introduction to fantasy fiction or shorter reading. 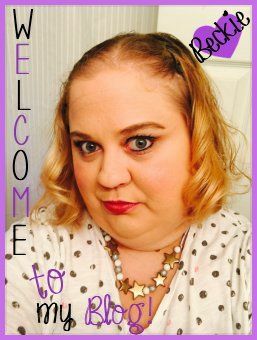 Hi SarahJane - Please tell is a little about bit about yourself? 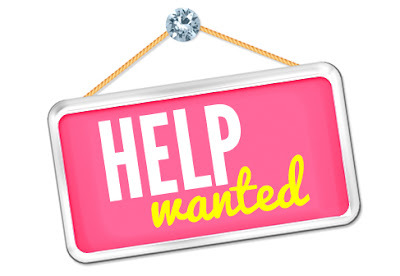 Hello, I'm Sarahjane and I work as a PR Officer for LUSH and a part time Children's and YA Author. Can you tell us about your new book, "Blake"? Blake is a short, YA Fantasy story. It features teenage girl Ebony who becomes intrigued by an elusive new guy at school who has a mysterious quality to his character. She is determined to find out his secret and while on her search to discover the mystery that surround Blake, she uncovers a secret that changes her very being. I wanted to write a short story centred around a male character with an intriguing and unexpected quality. There have been various books with lead male characters who become Vampires and Angels but no real stories where the lead male character turns into Blake's secret identity. I wanted to capture the masculinity of Blake within an unexpected types of creature. Blake is a short story. It could quite easily be a series and there is a lot more than can be explained. I wanted to write a story that keeps the reader wanting more. It was difficult to get everything into a short story but I wanted to make my writing succinct and keep the story fast paced. Sometimes people might want to read a lengthy novel but just not have the time or they may find it difficult to read lots of chapters and so I wanted to write a short story that was effective, emotive and enchanting. I don't remember a specific point where my writing originated but I do remember it is something I have always done. As a child, at home, I would always be putting little books together or writing stories. I loved story writing at school and I've always like books such as Alice in Wonderland and Narnia. My favourite scene from Blake is when both Ebony and Blake surround the Elm tree in the forest. There is a magical moment when Blake's true identity is revealed and when Ebony too realises who she truly is. The inspiration for this book came from the theme I decided to write about. Without giving Blake's secret away, the very essence of his being is unexpected for a male character. I wanted to make him seem strong and masculine. As I thought about his character I then related my story to Avatar and also Twilight and have become inspired by the mystery and beauty that surrounds both of those films. The description in Blake is very visual and I want to write so the readers can really picture the settings and the transformations. I do my writing at home, sat on the sofa. I need a cup of tea, a glass of water and the television. I go completely into my own little world but it's nice to have some background noise in the room even if I'm not watching it. I just enjoy writing. I'm a list maker by nature and sometimes get so many ideas I have to write them down. It's just something I have to do. I do, it's called Amy's Honeymoon by Julia Llewellyn. It's a girly chick-lit book and she travels to Rome. I love that book and am always recommending it to people. More recently though, I've read Miracle on Regent Street by Ali Harris which is such a fantastic, romantic Winter read and the I Heart books by Lindsey Kelk, I need to buy I Heart Vegas as she is a fantastically funny, girly writer. I would love to have met Audrey Hepburn and had tea with her. I tend to suddenly have an idea and the basis of the story I know write away. I then fill in smaller details but generally the idea arrives in full and I just need to write it down rather than searching for what happens. My plans are to keep writing I have a picture book which will be released in print on March 26th entitled Phillipa Knickerbocker Glory and the Ice Cream Castle and it is for the 4-6 age range. 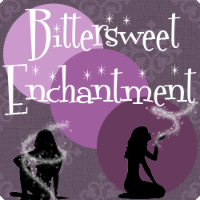 Do you have any closing thoughts or final remarks you’d like to share with the Bittersweet Enchantment readers? I really hope Bittersweet Enchantment readers will read Blake and enjoy reading it as much as I did writing it! I also hope to write a sequel or a series at some point too. Sarahjane Funnell is the Regional PR Officer for LUSH Cosmetics and a newly published children’s fiction author. Predominantly she writes young children’s picture books and middle grade stories set in magical places and enchanted lands but is soon to self publish her first short story written for YA readers. Launching as an Amazon ebook in October 2011, Sarahjane’s latest literary addition to her published repertoire will be the fantasy story Blake – a short story which Sarahjane hopes will capture the imagination of young readers in particular those who would prefer a shorter fiction book.